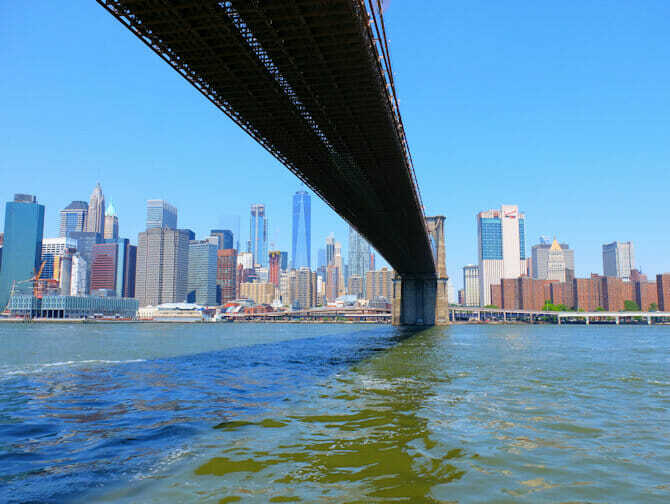 The Circle Line Landmarks and Brooklyn Cruise is the only boat tour that departs from Manhattan and then cruises towards Brooklyn for an extensive sightseeing tour along this borough. During this cruise, you’ll discover this diverse New York borough without having to walk or cycle. You’ll learn all about Brooklyn’s history: from the Dutch colonisation to the latest trends the borough is famous for. The cruise departs from Pier 83, within walking distance from Times Square. While the boat navigates along the beautiful skyline of Manhattan, you’ll be able to spot the Empire State Building and the One World Trade Center. A bit further on, the boat will slow down in front of the Statue of Liberty. Don’t forget to take a selfie with Lady Liberty! It then continues cruising towards the Verrazano Bridge and cuts to the left across New York Harbours Upper Bay. You’ll get to see a very industrial looking side of Brooklyn. Next up is Governor’s Island. You continue deep into Brooklyn and eventually go under Brooklyn, Manhattan and Williamsburg Bridges. 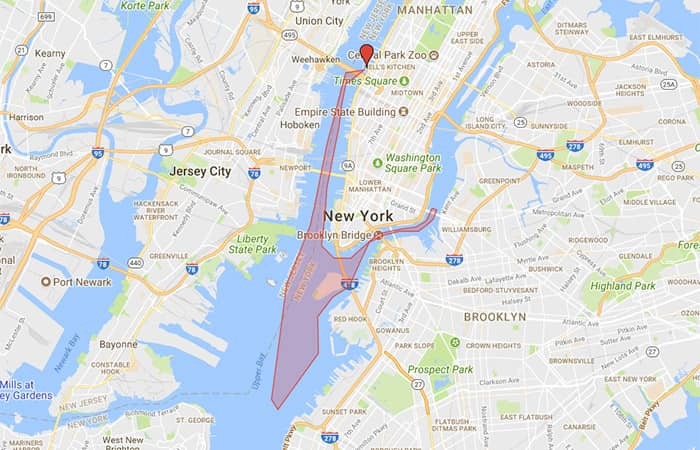 Then the boat will take a turn and navigate around Lower Manhattan to return to the original departure point. Brooklyn is known for its lively neighbourhoods and culinary specialities. Luckily, you’ll be able to taste these locally-made goods on board! 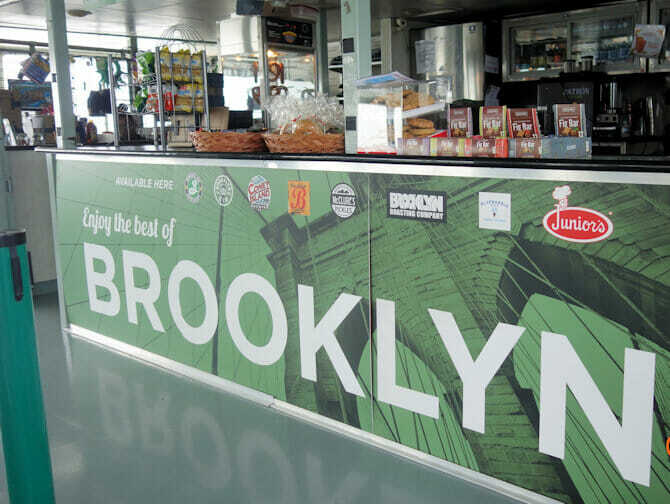 During the cruise you can purchase local products like the Brooklyn Cupcake, Blue Marble Ice Cream, Brooklyn Brewery, Junior’s Cheesecake and Coney Island Brewery. Erics Tip: Landmarks and Brooklyn Cruise is a great alternative for those who’d like to do a longer cruise and see a bit more. While you’ll have great views from both sides, I preferred to sit on the right side of the boat. You might see less in the beginning but more at the end of the cruise. After purchasing, you will receive a voucher that you need to show at the ticket window (printed out or on your smartphone). There you’ll receive a ticket for the departure time of your choice. I recommend you to do this as early in the day as possible, or even the day before, so you’ll be sure of a high availability.